Ethiopia stands as a land apart in so many respects: Never colonized, the country celebrates and preserves its ancient traditions. Its history is enriched with a religious mix-unique in Africa-of Judaism, Christianity, and Islam. The national borders contain one of the most fertile swaths of land on the continent. All this makes for a food culture as fascinatingly distinct as it is startlingly delicious. Chef Yohanis takes the reader on a journey through all the essential dishes of his native country, along the way telling wondrous stories. There are recipes for Doro Wat, chicken slowly stewed with berbere spice; Yeassa Alichia, curried fish stew; and Siga Tibs, flash-fried beef cubes. Since many Ethiopians fast 250 days of the year, the cuisine boasts a wealth of vegetarian dishes. Among these are Gomen, minced collard greens with ginger and garlic; Azifa, green lentil salad; and Key Shir, marinated beet and potato salad. Then the book explains the intricacies and variations of Injera, the foundational sourdough flatbread made from the teff grain (which is gluten free and more nutritious than wheat). 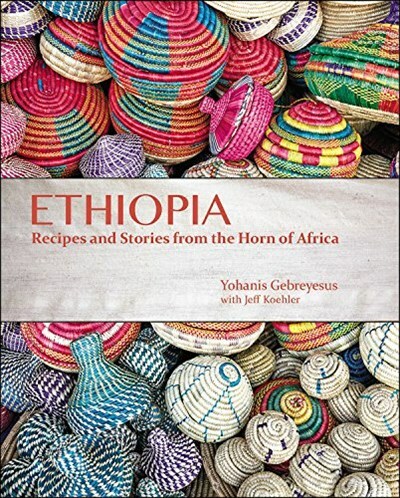 Complete with photography of the country's stunning landscapes and vibrant artisans, this volume demonstrates why Ethiopian food should be considered as one of the world's greatest, most singular, and most enchanting cuisines.